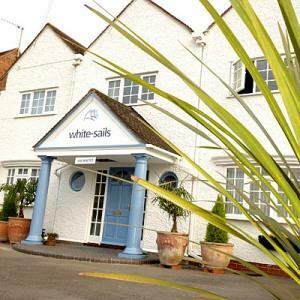 White Sails01789 550 469work Guest HouseThis multi-award winning, luxury, boutique B&B aims to provide our guests with the best possible experience. Individually designed, climate controlled bedrooms. Fabulous state-of-the-art bathrooms complete with fluffy bath robes. Your choice of four poster, king or super king-sized bed, fitted with crisp white linen. LCD TV’s, silent fridges, guests' lounge, complimentary sherry, fully licensed to sell alcohol, Wi-Fi throughout. On-site parking and walking distance to town centre/theatre, Anne Hathaway's Cottage, racecourse. Combine all of this with warm hospitality from your hosts and a fabulous locally sourced breakfast, results in a very special experience for your stay in our region.